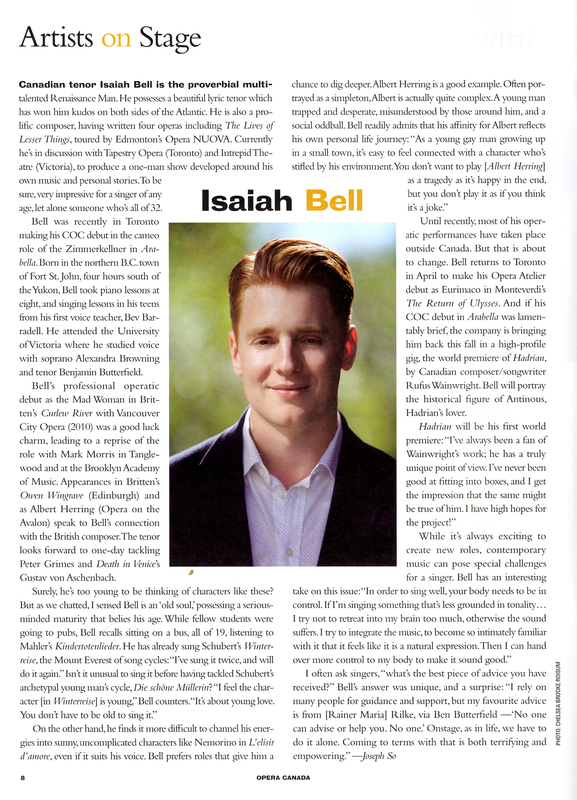 Read the Opera Canada profile on Isaiah. © 2019 Isaiah Bell | Tenor. Photography by CBR Photography and Brent Calis Photography.